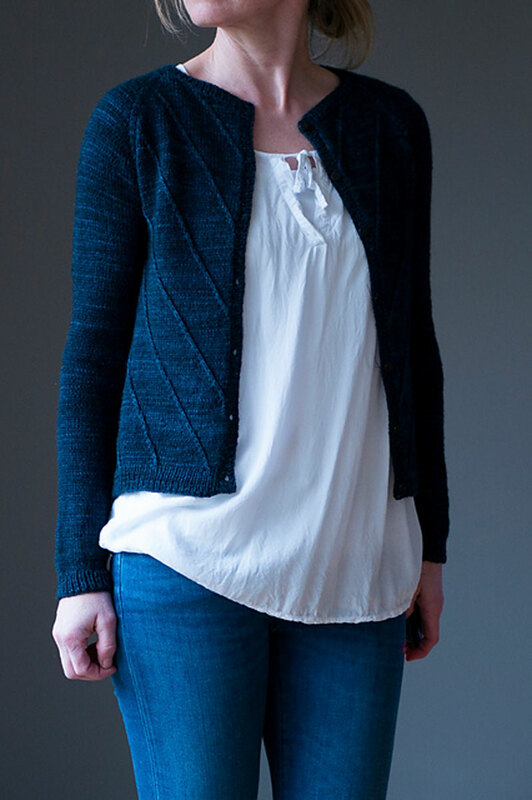 This design is available for purchase from Katrin Schneider's Ravelry Store - From the designer, "Beginning with the neckband, the cardigan is worked back and forth in rows from the top down. Diagonal slipped stitch lines are added to the fronts. The body is worked with a slight A shaping and finished with a ribbed hem. The front bands are picked up and knitted after the body is complete. 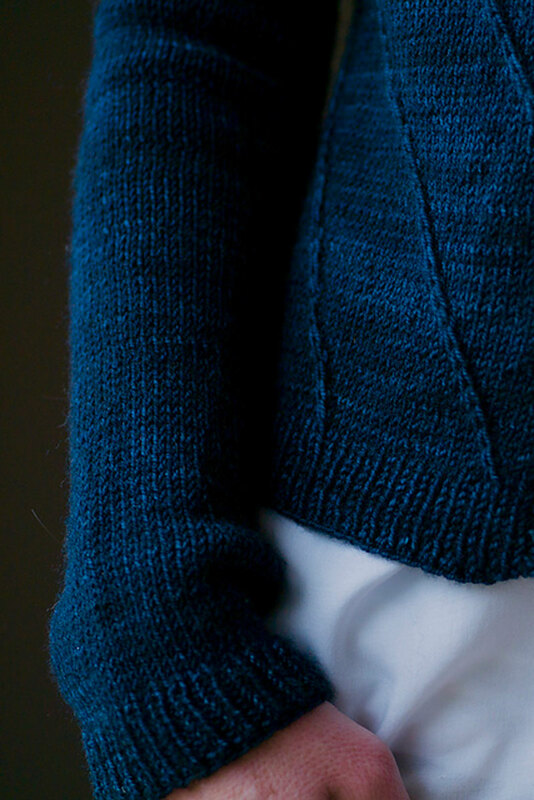 The sleeves are worked in the round and finished with ribbed cuffs." This design is available for purchase from Katrin Schneider's Ravelry Store. Remember to purchase the pattern by following the link provided on this page, as it will not be shipped with the yarn. Size US 2.5 and US 4 needles (or size needed to obtain gauge) are required but not included. Notions required but not included: stitch markers, stitch holders, waste yarn, tapestry needle, 7 buttons (size approx. 0.4-0.5" / 10-13 mm). 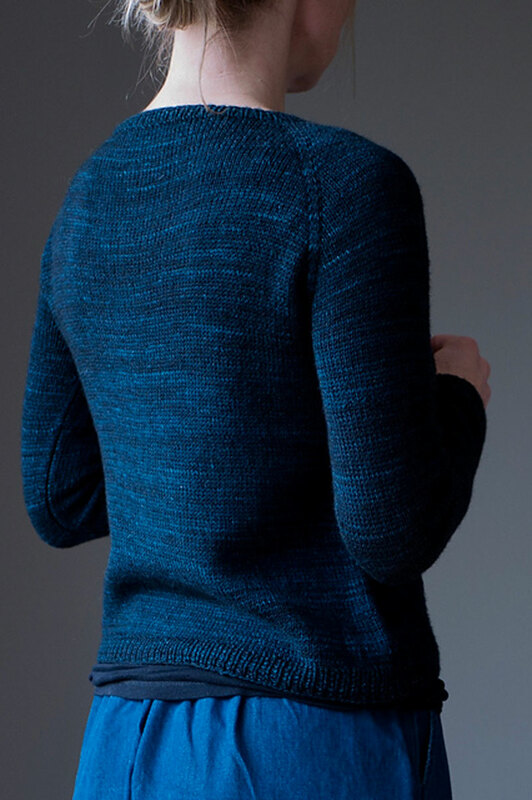 Gauge: 23 stitches x 33 rows - 4"
Yarn Shown: La Bien Aimee Merino Sport in Winterfell, which we do not currently carry. We recommend using Madelinetosh Pashmina as a substitute. $114.00 -- Kit price including yarn only (no book or pattern). Bust Size 36.2", 38.3", 40.3", 42.4", 44.4"
$190.00 -- Kit price including yarn only (no book or pattern).